The leading choice of the world's top galleries. 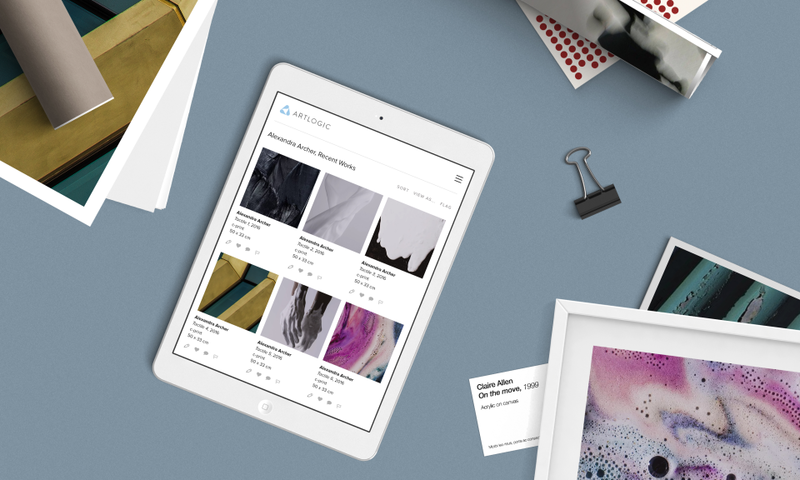 Artlogic is a fully integrated and comprehensive cloud-based solution used by hundreds of galleries, artists and collections worldwide. 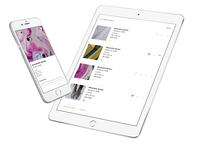 Includes CRM, inventory management, sales pipeline, exhibition & art fair list management, website integration, invoicing & accounts, marketing email campaigns, ipad/iphone sales app and more. Stunning mobile-friendly interface design. Built by art world experts - regular free upgrades and new features included. Pros: First, I am an independent database consultant. ArtLogic is first of all designed superbly. It looks amazing, it's something the user is happy to use. Working in an art gallery, this is very helpful as we want things to look good. And the artworks looks super in this database. Staff are happy to use a database that looks good and easy to use. It's comfortable and sleek unlike a lot of databases. Navigation is very easy, everything is clear. Artlogic can also design your website, and link it to the DB. I can email a client directly from the database, attach artwork images in various sizes and make an offer all in one go. They have an accounting database which also works with the main database. I can send out event invitations, register attendees at an event in real time, tag all attendees automatically. This is all recorded in one database. The searching mechanism is one super useful feature. I used this extensively and found that it was very applicable when looking for the right clients for a particular event. I found their support service to be better than any other database I've worked through. Cons: I didn't encounter any negative aspects to using the ArtLogic suite. Overall: My overall experience with ArtLogic was hugely positive. The ability to do everything from start to finish without using 3rd party software was incredible. Their Private Views system looks amazingly when showing to a client. It's a very impressive way to start a sale process. This is an important factor for staff. The start-to-finish recording of an artwork sale process is key. And it's done all in real time over the internet! ArtLogic imported data, set up the website, handled the training and updates . They also gave consistently high support when needed. From a database consultant perspective it was a pleasure to work with the ArtLogic suite. Pros: The first thing I noticed when dealing with them is how knowledgeable and hard working the team there are. Nothing is too much of an effort and there is a huge level of support - all requests are dealt with very promptly. Having used several databases I can say without a doubt Artlogic is the most user-friendly out there, Training our thirty-strong team how to use the software only took a couple of days. It has been intuitively designed which makes it very straightforward system to use. The amount of time it saves the various departments also has to be noted. The accounts features, raising invoices, updating multiple records and fields at once, creating lists of works for sales offers, creating artwork lists for fairs and exhibitions and setting deadlines and reminders for loans and consignments are just some of he features which have made drastic improvements to how the teams manage the workflow. Previously we used an external sales platform which we needed another subscription for but with the PrivateViews app it eradicated the need for that. It also saves huge amounts of time as artworks details no longer need to be entered on to more than one platform. Artlogic are also now our website provider and so the database and website are linked. The usability of the website CMS and the database are very similar and we can now manage the website content ourselves. All our mail-outs are now generated from the database and the analytical tools are extremely useful. Cons: I would say it is slightly more expensive than some competitors although the features justify that as the database is being developed and improved all the time. The only 'cons' I have are certain areas of the database that could be developed further. It would be really useful to develop the PrivateViews app in order to update status and availability of works in real-time ad it be reflected in the database, as well as the other way around. It would be great if it could be developed to connect to external software. Our Archive department use an external asset management system which slows things down as images have to be uploaded in several places. Hopefully this is something that will happen in the not too distant future. Overall: I moved the gallery over from a competitor's off-the-shelf database in July 2017. The gallery had been with the previous database provider for as long as they've had a database. The two platforms and the teams that manage them are poles apart. It was easy to see why Artlogic are ahead of the game. Pros: I have been using ArtLogic as part of the daily running of my studio for many years now, I believe I was one of the first artists (rather than a gallery) to use the software! The knowledge of the art world and market that has influenced the design and fuctionality of ArtLogic easily allows my studio to keep track of my work and indeed my own personal collection. For artists such as myself, working with photography and moving image which involve editionality and production processes, it is especially vital to have an advanced database and system for organising and viewing work in an effortless way and without Art Logic it would be extremely difficult to keep track of the movements of my works. The range of purpose has integrated the way my studio works; being able to see, for example, production statuses, consignments and locations at a glance, has allowed us to have a broad and complete overview that simply was not possible in the past. The sleek design and up-to-date technology has streamlined the administration and management of production and works and the sharing of this information with my galleries, allowing me to focus on the most important aspect of my practice; making my work. Cons: ArtLogic is a wonderful software clearly developed for art galleries and on occasion, the functions aren't completely tailored to an artist's studio - however as ArtLogic is evolving, I see the software being attuned towards artists and increasingly taking on the concerns of making art in the 21st Century. 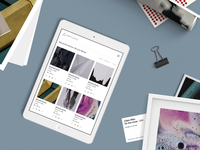 The absolute best Art CMS on the marketplace. Amazing support, easy to use, near-perfect! Pros: First of all has to be the people behind it. Every experience with them from the initial set up to every dumb support question we asked was met with enthusiasm. They're friendly, honest, and aren't trying to screw you around like some of the other big systems. technologically impaired could figure out it's intuitive design. It's a clean and straightforward system that just makes sense. Third has to be the scope. Compare it against any other CMS software and you will find it can do everything they can and more. Not only that but they are adding new features at a rate much faster than their competitors, setting them years ahead of everyone else. Finally I would have to say the time saving. Linking the database to our website, automating our invoicing, creating custom sales offers, drafting newsletters in seconds. The amount of time Artlogic has saved our team is astounding, and it only gets better the more you use it. extremely competitive and even cheaper than the other systems at it's level. They're only recently (2017-2018) gaining a foothold in North America, so it's a bit Euro-centric still. But with new offices in NYC, and picking up some of the biggest galleries here as clients, they are already well on their way to adapting a more globalized mindset. They're still growing, so it's a great time to get on board with them. Exceptional team and tool - Artlogic revolutionized the gallery's workflow! Pros: I was tasked with finding a new inventory system for the Arthur Roger Gallery and after months of research and discussions with various companies, I selected Artlogic. It was the best decision I made in my position. 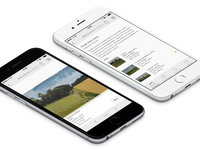 It revolutionized the gallery's workflow and further elevated its professionalism. The artists, clients and vendors all took notice, and the gallery continues to receive positive feedback on its impact. The Artlogic team is incredible and a complete joy to work with. The gallery had just invested in a new, standalone website and didn't have the bandwidth to bridge it with the database, nor explore the marketing tools. Cons: The only area where I could identify room for improvement is with the timeliness of the sync between the database and the PrivateViews app. However, the current state never interfered with staff operating successfully and professionally with clients. Thanks for your very thoughtful response. It was a pleasure working with you at Arthur Roger and looking forward to more collaborations ahead with your new endeavour. By the way, have recently created a high speed add on for PrivateViews that means updates are almost instantaneous. It is quite intensive on our servers so there is an additional cost but if the gallery were interested we could set this up for them. Pros: Our gallery started using Artlogic in early 2017 after 15 years on our own custom made database. We spent 3 years conceptualizing a new system and exploring the various software available on the market but nothing, in our opinion, came remotely close to Artlogic. 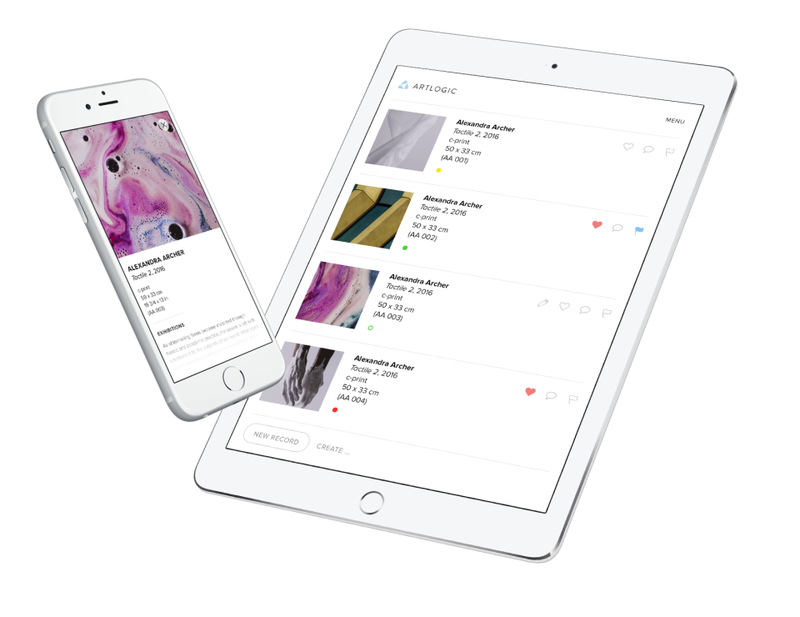 The interface is intuitive and the comprehensive artwork cataloguing and sorting tools reflect Artlogic's superior understanding of an art gallery's needs. The list of features is endless and we we continue to be amazed as more are added regularly and rolled out to the benefit of subscribing galleries. The design team is brilliant and we are of course pleased with the phenomenal website they built for us. The quality of Artlogic's database and their website development team is surpassed only by their outstanding client services and support. The Artlogic team is amazing. They understood the challenges of the importing our data, quoted us accurately (on budget! ), delivered the database and website efficiently and have provided fantastic support when we were confronted with challenges along the way. Last but certainly not least, Artlogic is reasonably priced and represents excellent value. Cons: Our art gallery deals primarily in historical paintings whereas I believe most galleries using Artlogic deal primary market paintings. It required some creative solutions for us to fit all relevant historical data into the existing fields. The Artlogic team made it work and the results are great so it is hardly a "con" but it is the only way in which Artlogic is not perfect streamlined for our business. Overall: With our transition to Artlogic, our two galleries gained the benefit of features and technology developed for the hundreds of other Artlogic clients. 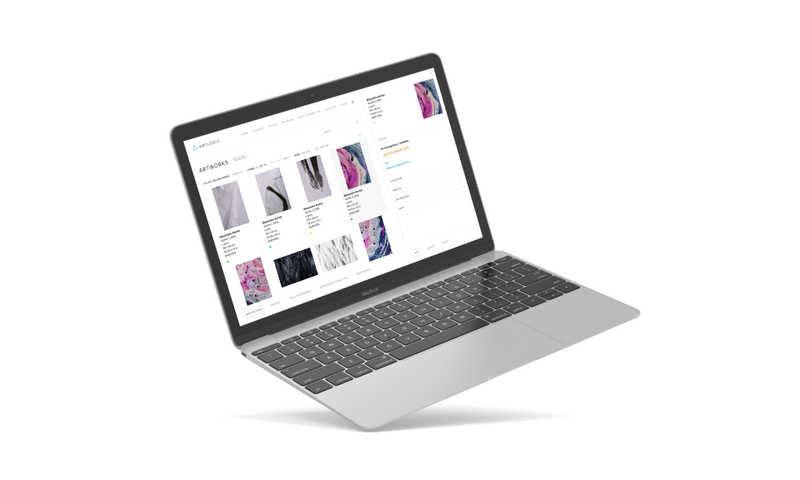 The system is optimized for cataloguing inventory, automatically generating branded documents and even includes an integrated client emailer. These powerful features have saved us countless hours and our clients love the results. Thank you so much for your very kind words. So pleased you guys made the leap of faith to work with us back in 2017 and that we were able to meet your expectations. Looking forward to the many years of collaboration ahead. Pros: We carefully selected ArtLogic from a range of options due to its powerful capabilities, aesthetics, user-friendly interfaces, excellent development/support team and the road-map for the future of the software. The team understand the industry needs in great detail and are at the forefront of tech developments (refreshing in the art industry). 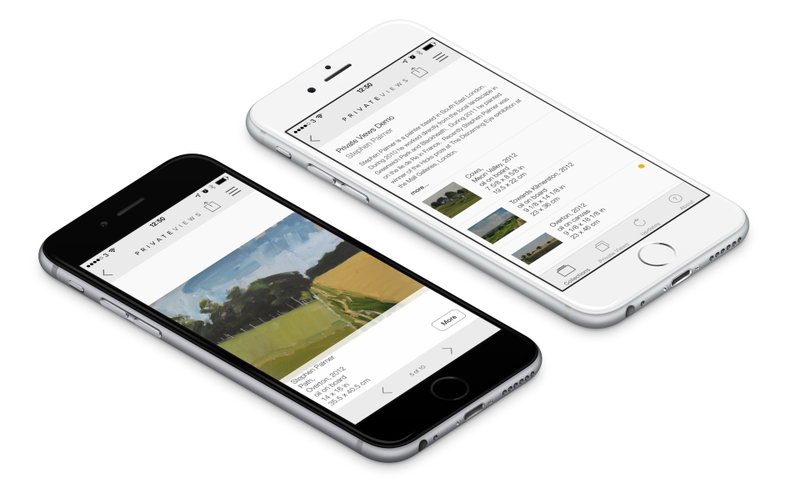 From the detail cataloguing, database management and image management to the flexibility of the private view sharing and app - there really is nothing that comes close. The future is very bright for ArtLogic. Overall: We are many times more efficient as a result. It makes us look engaging and professional at all times. We wow clients. Thanks so much for your review. Greatly appreciated. Always a pleasure working with the team at Mestaria. Pros: As a gallery, we fully appreciate the software package Artlogic offers to deal in a timely and complete manner with our artworks, loans, offers, sales but also shipping or insurances. We specifically enjoy the beautiful layout the private views provide to our collectors, as well as all the information each file can contain, accessible in just one click. We also use Artlogic to manage our website and are quite proud of how it looks today: beautiful, clean but, mainly, efficient and userfriendly. Cons: There is not really something we do not like about this software because each time we encounter a difficulty, the online service provides us with an almost immediate solution. Thank you so much for submitting a review, it is greatly appreciated. Wonderful to hear that you are enjoying using the system and are getting so much out of it. Love the new website by the way. Best art gallery software out there and an amazing team to work with! Pros: Artlogic is intuitive, easy to use and efficiently organizes and manages my day to day tasks. The team at Artlogic is an absolute pleasure to work with, always quick to respond to any queries I might have, and is constantly listening to the needs of their clients and making upgrades in response to this. Artlogic is visually stunning, and the PrivateViews app has streamlined my workflow when travelling for art fairs. As well, Team always make a point of coming by to say hello when we are in the same city for art fairs and that personal relationship is greatly appreciated. I can't recommend Artlogic enough - the team is amazing, it has changed the way that I work and it is an essential part of our business. Cons: The only thing holding me back from using the software earlier was the price (which, for a small gallery was a big commitment for us), however Artlogic has massively organized my admin workload, inventory and invoicing so I can spend more time with clients and artists, and is certainly worth the investment! A must for art collection management! Pros: I was introduced to Artlogic by a colleague from the art world and was immediately seduced by its `look and feel and the user-friendly interfaces. Not being an IT person, this internet-based database solution offered me a very professional and multi-platform solution which allowed me to provide top quality documentation and reporting to the collectors I am supporting. The support team has also always been very friendly and efficient. I recommend it ! Cons: If any, the design of the visual identity in the exported documents (name of collection, logo,...) could be improved. Thanks for your continued support. Always greatly appreciated. I hope all is well with you. Pros: After a year or so of going down the art innovatory wormhole and trying out a few different programs I landed on Art Logic and haven't gone back. It has been a lot of time I've needed to invest to get it set up and running, but it feels so good to be able to go and search for works in the system and have them pop up. Cons: None to report. The system is constantly being worked on and updated and every question I've had has been met with a team of problem solving creators with excellent tutorial videos and personal troubleshooting sessions. Overall: Absolutely great. I love how creative the team is about constantly improving the system so that it is extremely user friendly. Thanks so much for the kind words Shantell. Hopefully see you in London or NY soon. 3. The functionality covers all the day to day operations at a gallery. Artlogic has dramatically increased our efficiency with its solid integration between different types of data and powerful search tools. Cons: For a non-profit organisation like us, the monthly subscription fees for the database and website have been a big expenditure. This might be an obstacle for us to continue to use the service in the future. Overall: It has been a real pleasure working with Artlogic in the past year. I can feel that the team values user experiences. We have received a lot of compliments and approval from our clients and audience. Thank you Artlogic team for your dedication and professional attitude. Looking forward to see and use new features Artlogic will bring. Pros: It appears to be provide all the necessary basic requirements for an artist website, It also appears to be user friendly. Overall: Extremely disappointing and time consuming. So far a waste of a lot of money. We find ourselves working back and forth with the tech support as the software is full of glitches. We are constantly receiving emails from tech like, we apologize, there seems to be a problem in the software, or we apologize, the system can't organize the work chronologically, etc, etc etc...Seems to us that we spend the days writing back and forth to web support. We hope and pray to one day soon have this website working like it APPEARS in the Artlogic Publicity Page. I am very sorry that you have been experiencing these issues. We do have these features built into the websites and I will be in touch shortly to show you how to use them and resolve any issues you have been having. We are so sorry that this is something that you wanted but nobody was able to tell you how to do this. I look forward to working with you to get your website finished as soon as possible. Artlogic has completely changed the way I can present my work as an artist. Pros: Artlogic enables me to present images to clients in a way my tech knowledge doesn't merit. Not only is it reassuring to know my work is safely catalogued in one place, the Private View application presents my work in an extremely professional format with minimal input from myself. No more sending of large attachments rather a link to a variety of images of my choosing beautifully presented with Artlogic's use of graphics. My role was simply to upload the original image and information about the piece, the data base does the rest. Where ever one is where a phone ,tablet etc is available a simple log in takes me to a library of images of my work. Setting up my account was incredibly easy with one simple tutorial from friendly staff who are readily available to deal with any problems. Thank you so much for your kind review, it¿s always great to hear our clients thoughts on the system. I hope you continue to enjoy using Artlogic. Do reach out if you have any questions at all. Pros: Artlogic proved an invaluable resource in organizing the gallery's wide network of contacts. Using it's software, we tailored, segmented, and tagged our contacts in a way that allowed us to not only store but also analyze a variety of data. We documented each team member's interaction with individual clients via the contact narrative feature, thereby capturing detailed relationship histories that informed future strategy and conversation. By revealing trends in information and patterns in behavior, Artlogic enabled us to transform our rolodex into an active tool. Cons: Artlogic would be made even more useful if it could integrate with other softwares, specifically ticketing style softwares. Overall: Artlogic enables us to store, organize, and better understand our vast network of contacts. Using this software has enabled us to segment our audience with purpose based on useful data and connect with them accordingly. Pros: Artlogic is a very hefty program. There are numerous functions to cover every need you might have, from removing the cents off of the prices on offer lists to entering shared costs and split payment features in the accounting section. The user support is fantastic. We had a visual for how our invoices would be generated and the Art Logic team built a new template so the sold artwork and corresponding details would be laid out how we wanted. The multiple programs covered in one user system is streamlined and easy to control. Along with the inventory system we also use Artlogic for our eblasts and website build out and couldn't be more pleased with having all these functions under one system. We now never have to duplicate entering in an artwork or client information. Cons: There are so many functions that it does take awhile to get use to all of them. In particular, customizing lists when sorting artworks. Thank you so much for the review. Great to hear that you're getting so much out of the system. There are actually going to be some really exciting enhancements to our CRM and sales pipeline management tools coming out later this summer, stay tuned. Pros: It's easy to use and the support is otherworldly - I've never been let down by their support team and the friendliness of the software feels like using my iPhone. Cons: The way contacts and sales opportunities are connected are behind as opposed to other software - but I know they are working on it. Overall: I can't live without it - period. Thanks for your feedback Chris, much appreciated. Pros: It has the capacity to contain all data. Ease of access to information. Cons: Sync to Private views is bit difficult since it is slow. Not all information is relayed on it. I hope all is well. Just wanted to thank you for your positive view. I'm not sure if you were aware of this but there is now a high speed synchronisation available between the database and the PrivateViews app. There is an extra cost because of the significant additional load on our servers but if you are interested do reach out to the client team and they can provide you with all of the relevant information. Art Logic has become an essential tool in our day to day work at the gallery. Cons: Certain elements of the UI (which is generally pretty spot on) could be improved, the app also needs to be improved. Thank you so much for posting a review. If you have suggestions or thoughts regarding UI improvements or proposed changes to the app please do send them across. Since 2014 I work with the database and website of Artlogic for several clients, absolut great! Pros: It is easy to handle, the support is very friendly and helpful and super efficient. A very stylish and clear design. Cons: As I am working since 5 years with this tool, (before I worked with other tools) it speaks for itself! Thank you so much for your review. I hope all's well with you. Private Views is just great for art fairs! Pros: The features and functionality are everything we asked for during art fairs. We can easily make beautiful and elegant presentations of our works, and send personalized emails to collectors without this task being so time-consuming. All features are very well thought-through, as we can show/hide certain information, add documents like bios or press releases to our private views, etc. Plus, the customer service is always there to help us! They're very efficient and troubleshoot any issues that may arise. Cons: Nothing really. If I have to pick something, I would say that there are so many options that you might be a bit overwhelmed when you start using the software. This is not a downside but mainly a positive thing! What I mean is, if you want to make the most out of Art Logic/Private Views, you will need to invest a little bit of your time and effort to understand the features and how to use them properly. Pros: Everything! Super easy to use, incredible functionalities! really helpful as a business companion! Cons: It's not incredibly adjustable (at least graphically) to the gallery needs! We are long time Artlogic subscribers and really happy with our experience. Pros: Super integrated, great functionality. It continues to evolve making it indispensable for running our business. Cons: We have no complaints the software has developed with feedback over the years and evolved to suit our needs. Thanks so much for taking the time to write a review, it really does make a difference to others thinking about signing up. I totally hear what you are saying about adding in more help notes and manuals. We are fully aware that more needs to be done on this front and intend to change this going forward. In particular the CMS is lacking in help notes compared to the database. The best Art gallery software around with awesome customer support! Pros: It does every I need to run my art business as a curator and artist. Beautiful UI. The customer support is always there and friendly and they go the extra mile to make sure I get the most out of Artlogic. I would also recommend using the integration with one of their website templates. Overall: Nothing bad to say about the software. I wish I had found Artlogic earlier it would have saved me time and money! Thanks as ever for your continued support of Artlogic and our products. The new artworks on the website are great by the way! Major improvement for our workflow! - Such a powerful database - there is not one single thing that you cannot save somewhere in the Artlogic database. There are so many fields, we will never be able to use them all! Definitely the most complete database out there for galleries. - Interface is beautiful and easy to use. - Easy communication between the database and the app. - Friendly and personal client services. Cons: One issue for us is that it is hard to have the word documents and pdfs that you export from the database in our own visual identity. There is definitely some room for improvement there. Thank you for the lovely feedback. I¿m glad to hear you have been enjoying using Artlogic. I will get in touch with you all directly to talk further about the documents as we would love to help. I really enjoy using Art Logic! It has been a great improvement in our inventory management. Pros: - Possibility to add a variety of info about each artwork. - Quick and efficient customer support. Always willing to add new features and adapt the system to better serve the clients. Cons: All the different tabs and possibilities can take a bit of time to get used to, but they certainly end up being a great source of information about each piece. Further, the team at Art Logic is always ready to answer our doubts and requests. Massive apologies, I thought I had responded to this sooner (but perhaps my response didn't send properly). Thanks so much for your kind review. It's been a pleasure working with the gallery and we look forward to many more years of collaboration ahead. Pros: Love the customization tools. The design team is great. It's easy to setup and maintain. Customer service is quick and efficient. Cons: It would be awesome if it were cheaper but I understand all the costs associated with running an interface like this so I'm happy to oblige with the cost! Essential tool for the management of my studio! Pros: Easy to use and setup. everything about your artowork is there. Private view is excelente to show your artwork for clients. Cons: Nothing! Every artist should use it. I can't imagine my studio and my artwork editions without this system. Thanks so much for the review - we're delighted you like Artlogic and are likely to recommend it to others. There are a huge number of features in the program so it can be a little daunting at first but you're always welcome to contact our support team any time if you need help or suggestions. Pros: Extremely useful, great user experience, very easy to use. We are very satisfied with the programme. Can only recommend. Cons: Till now we did not experience any inconvenience when using Art Logic. Overall: Very satisfied! Can only recommend. Pros: What I like most about Artlogic is that it is industry specific. Cons: The only con that I can think of is that it is not super user friendly, but that could just be user error. Thanks so much for leaving us a review, always greatly appreciated. However, I'm a tad confused because as far as I can tell OAI Art Services aren't currently using the Artlogic database! Perhaps you thought you were reviewing another product? One other thought that I had was that you could have been using Artlogic via another organisations Artlogic account? Anyway, I was just curious. The best gallery app I've tried!